Off-white khadi sari by Sailesh Singhania at AASHNI+CO. 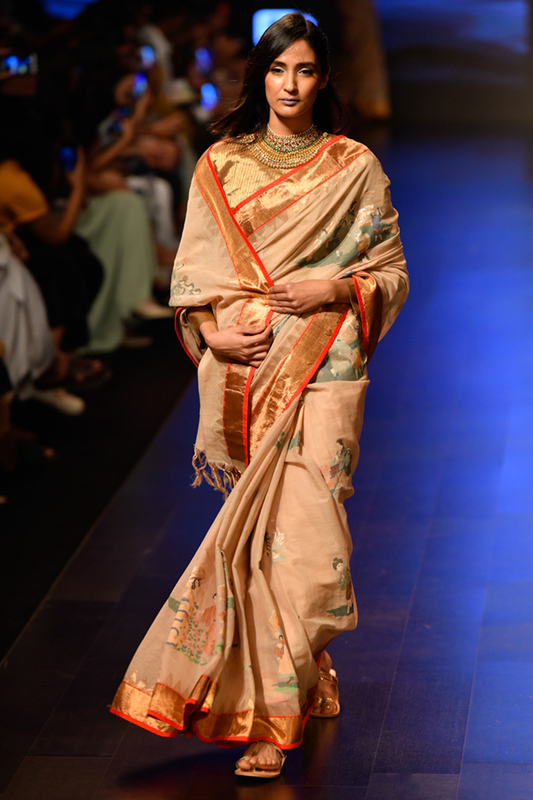 Sailesh Singhania brings elegance and grace in an off-white khadi jamdni sari with japanese motifs and zari border, paired with a gold zari overlap blouse. Style the look with gold layered jhumkis and cuffs.